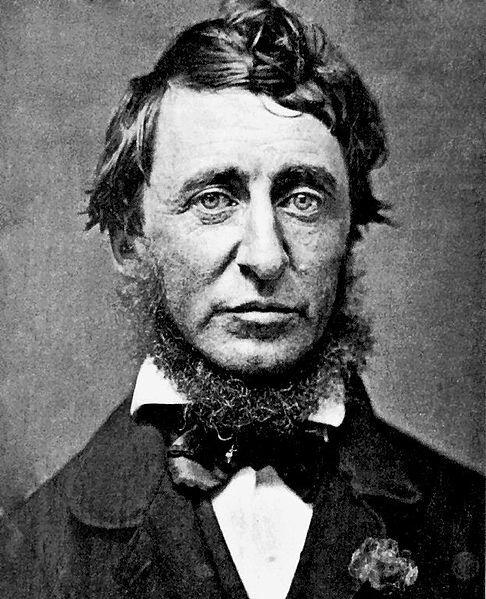 July 12, 2017 is the 200th birthday of Henry David Thoreau, the godfather of the Green movement, the original proponent of civil disobedience, a likely virgin and one of the world’s great aphorists. Like many others, I first real “Walden” in high school, and found it inscrutable. I reread it in college and was inspired by the themes of independence, simplicity and naturalism. I thought it might change my life, but alas, it didn’t really. Or at least not too much. And then as a worldlier adult I read it a third time and found myself vaguely annoyed at the impracticality of it all. It’s all well and good for Thoreau to live simply because modern capitalistic society has made it possible for someone to easily acquire the basic necessities of life. Five hundred years ago a person living in the woods alone would have spend all his time growing and hunting food and would have no time for writing books. It’s probably not useful today, if indeed, if ever was, to look at “Walden” as a practical guide to living. However, it is a remarkable self-help book. His exhortations to simplify your life, to stop chasing material wealth and to get more in tune with the natural world are more important today than ever before. Walden Pond itself has been a place of pilgrimage over the years and I’ve been there twice myself. 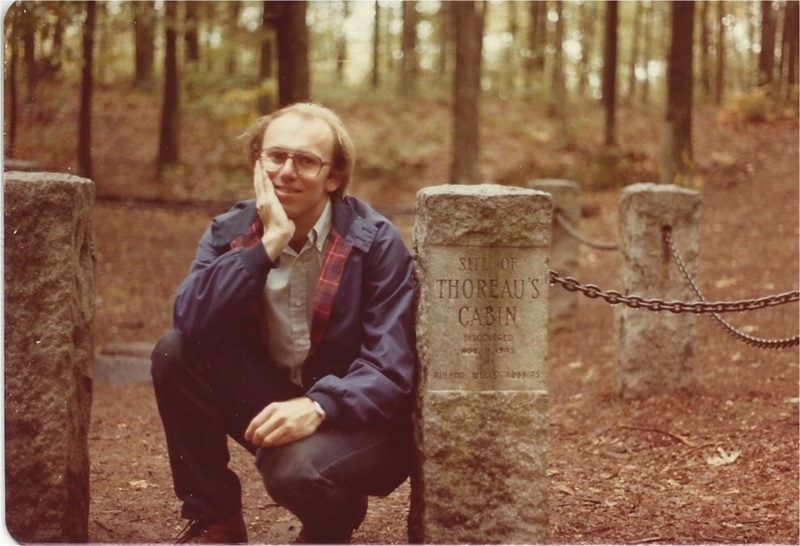 Both times the site of Thoreau’s cabin was represented by some stone markers, although I understand an actual replica cabin has since been constructed. 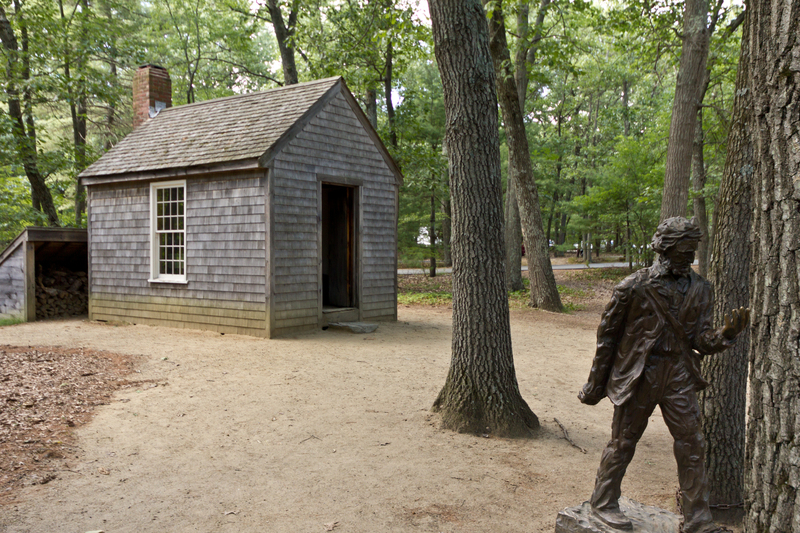 Whatever you think about Thoreau’s philosophy, there’s no denying he is a remarkable writer. Walden is full of beautiful inspiring language. Almost every page has a sentence worth underlining (and having read the same volume three times, there is plenty of underlining in my copy.) Here are some of my favorite quotes from Walden. It would not be hard to assemble twice as many from his other writings. – The mass of men lead lives of quiet desperation, and go to the grave with the song still in them. – Why should we be in such desperate haste to succeed, and in such desperate enterprises? If a man does not keep pace with his companions, perhaps it is because he hears a different drummer. – I went to the woods because I wished to live deliberately, to front only the essential facts of life, and see if I could not learn what it had to teach, and not, when I came to die, discover that I had not lived. – I would rather sit on a pumpkin, and have it all to myself, than be crowded on a velvet cushion. – However mean your life is, meet it and live it; do not shun it and call it hard names. It is not so bad as you are. It looks poorest when you are richest. The fault-finder will find faults even in paradise. Love your life, poor as it is. You may perhaps have some pleasant, thrilling, glorious hours, even in a poorhouse. – As if you could kill time without injuring eternity. – Live in each season as it passes; breathe the air, drink the drink, taste the fruit, and resign yourself to the influence of the earth. – Time is but the stream I go a-fishing in. I drink at it; but while I drink I see the sandy bottom and detect how shallow it is. Its thin current slides away, but eternity remains. – A man is rich in proportion to the number of things which he can afford to let alone. – Only that day dawns to which we are awake. There is more day to dawn. The sun is but a morning star. – Simplicity, simplicity, simplicity! I say, let your affairs be as two or three, and not a hundred or a thousand; instead of a million count half a dozen, and keep your accounts on your thumb nail. – Most of the luxuries and many of the so-called comforts of life are not only not indispensable, but positive hindrances to the elevation of mankind.